1. During the early 2000s US-Israel pharma gaint Teva Pharmaceutical Industries Ltd marketed Copaxone® (a 20 milligram daily injection) for the treatment of multiple sclerosis, a disease in which the insulating covers of nerve cells in the brain and spinal cord are damaged. The active ingredient of Copaxone® is glatiramer acetate known as copolymer-1. 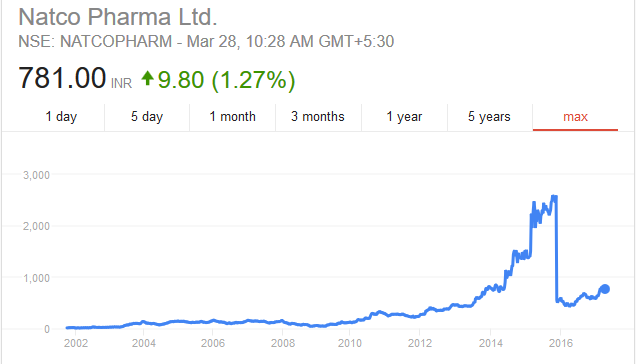 To know much much money Copaxone makes, we should look at the sales figure and price of this drug. Annual sales of Copaxone® are approximately US$4.3 billon worldwide and account for more than half of Teva’s profit. Copaxone® is very expensive with many patients paying over US$40,000 (Rs. 26,00,000) per year for the drug. The product is protected by nearly 10 patents issued between 1998 and 2013. 2. In 2003, Natco Pharma Limited (Natco) began research to develop a generic version of Copaxone® in order to make a cost effective version of the drug available to patients in India. As a result of its efforts, Natco developed a novel process for producing copolymer-1 and filed patent applications covering its process. Presently, Natco’s copolymer-1 product is sold in India under the mark “GLATIMER”. 3. Ashish Chugh entered Natco Pharma at Rs. 70. I believe above news point was the trigger point for Ashish's decision to enter the stock. 4. In 2003, Yeda, the research wing of Teva filed application for the product glatiramer acetate in India. A pre-grant opposition was filed by Natco raising issues of inventive step and an objection under Section 3(d) of the Indian Patents Act, 1970. A bad news of for an investor to trigger the exit call. But Ashish Chugh kept calm and stayed invested. 5. In 2008, Mylan Pharmaceuticals Inc. (Mylan) signed a license and supply agreement with Natco for generic copolymer-1 pre-filled syringes. The agreement granted Mylan exclusive distribution rights in the U.S. and all major markets in Europe, Australia, New Zealand, Japan and Canada and included an option to expand into additional territories. Stock reacted positively and it reached Rs.159, which doubled the money of Ashish Chugh. This as a great news for an investor who held the stock for 5 years to exit and look for other options. But Ashish Chugh kept calm and stayed invested. 6. Recession on full swing. Natco Pharma was not an exception. By the end of 2008, Natco Pharma fell down to nearly Rs. 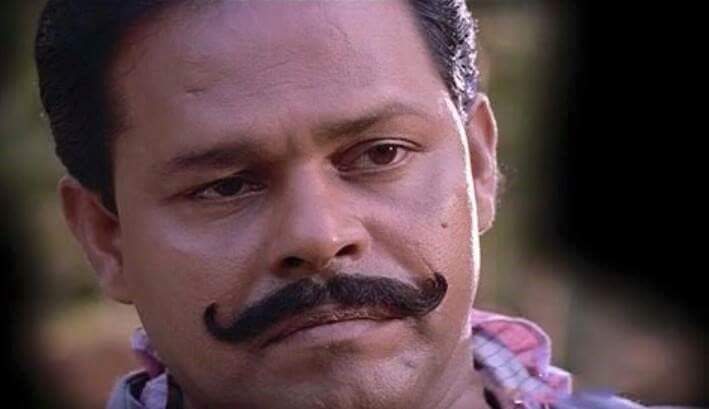 65, which is almost 10 percent below Ashish's entry price of Rs.70 in 2003. What would have been the reaction of a normal investor?. You stayed invested in a stock a stock for almost 6 years and end up with a negative return!!. A classic case to exit and move on. But Ashish Chugh kept calm and stayed invested. 7. The application submitted by Yeda in 2003 for the product glatiramer acetate in India finally rejected in March, 2009. In spite of that, Yeda obtained Indian Patent Number 190759 claiming a process for manufacturing of generic drug. 8. In 2012, Teva filed a second lawsuit against Natco in the High Court seeking a permanent injunction to restrain Natco and its agents from directly or indirectly manufacturing, selling, offering for sale, exporting or registering the product that had been held by the U.S. District Court from infringing its patent. Similar to the first lawsuit, Teva sought an accounting of Natco’s profits and a decree for damages. By this time Natco Pharma was trading at Rs. 350. It was a good time for Ashish Chugh to exit the stock as it was became a 5 bagger for him. But Ashish Chugh kept calm and stayed invested. 9. In February, 2014, the High Court of Delhi dismissed Teva’s lawsuit seeking an injunction to prevent Natco from exporting its generic version of Copaxone®. 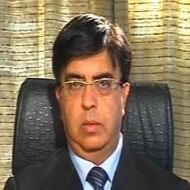 The High Court reviewed the two processes used by Natco to manufacture copolymer-1 and noted that the present suit involved the process used by Natco for manufacturing copolymer-1 in India on behalf of Mylan for sale outside of India and not the process used by Natco for manufacturing copolymer-1 in India for sale within India. That as much awaited news for an investor to exit and realize a 10 bagger by that time. Stock price was in Rs.700s. But Ashish Chugh kept calm and stayed invested. 10. As of today, the stock is trading at Rs. 780 after split. We are sure Ashish Chugh is waiting patiently for the stock to reach Rs. 2500 range, which will become his first 100 bagger stock. The attitude you need during turbulent times!! Sometimes, you make money by not buying or selling stocks, but by simply staying invested!!!. Keep calm and stay invested!! !